1. 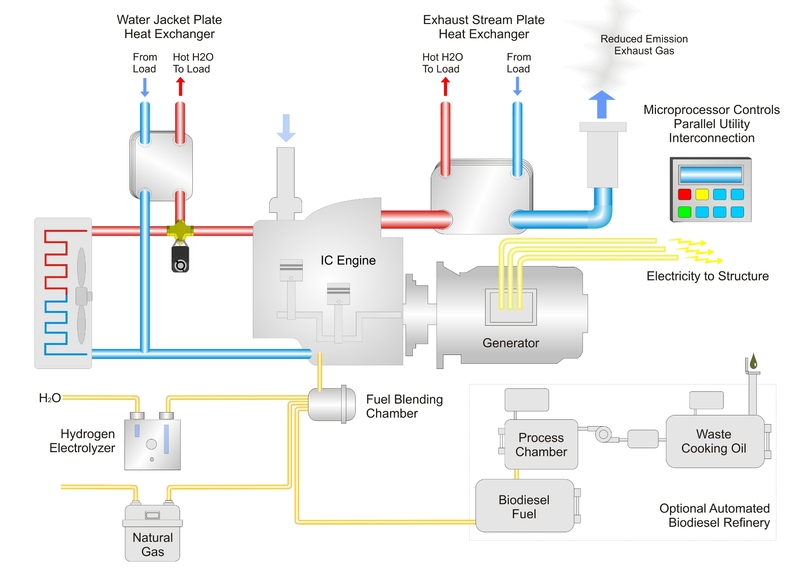 Continuous run generator burns natural gas or biodiesel to produce cheap on­site power. 2. Hydrogen produced through electrolysis is blended in with the fuel to reduce CO2 and other emissions. 3. Exhaust is channeled through a heat exchanger for use in absorption chilling or waste heat recovery.